There is lots of advice out there for first time buyers and getting yourself onto the property ladder. But what if you are a second time, or subsequent buyer, looking for the best ways to manage your finances and establish what type of property investment is best for you and your family next. Perhaps your family is outgrowing your home, you need an extra bedroom or two or you’ve had your eye on a different area to which you’d like to move. Here’s a breakdown of the next steps in your home buying journey. Since moving house can be one of life’s most daunting tasks, you want to be as sure as possible that your next home is just right for you. An estate agent that has years of experience and unrivalled knowledge of the local area is a great place to start. They will talk you through the process, establishing exactly what you’d like and how feasible this is in relation to your budget. When viewing property, have a checklist in mind and watch out for any potential upgrades and work needing done that will add to costs. You can find some pointers to remember when viewing property here. If you sold your previous property and have made a profit, this money can be used as a deposit for the house you’d like to buy. The larger the deposit, the easier it will be to get a mortgage and the better mortgage deal you will get. Mortgage lenders look more favourably on people who need to borrow a smaller proportion of the property’s value, called the loan-to-value. In addition, your monthly repayments will be smaller with a smaller mortgage. If you have kept up with repayment of your previous property’s mortgage, this will positively affect your credit record and is a good signal to future mortgage lenders. Disadvantages to being a second time buyer include there being less help-to-buy schemes, usually only available to first time buyers, though it’s good to do some research on what might be available, especially if you have low equity in your current home. Being stuck in a housing chain is one of the most stressful and expensive aspects around buying and selling property and can mean you lose out on the perfect new home. Work with a reputable estate agent who can help push things through for you and keep the whole process on track. The same goes for employing a good solicitor (see below). It’s also good practice to make sure your own finances are in order before submitting an offer. 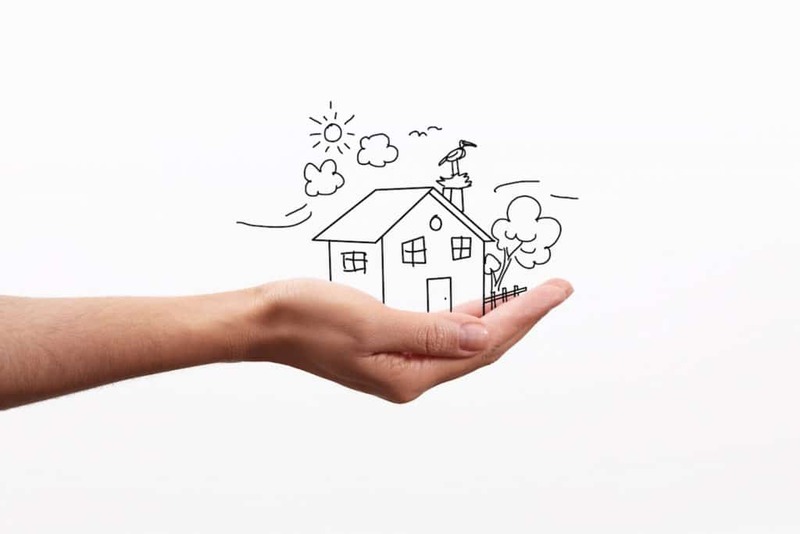 Getting a mortgage agreement “Decision in Principle” gives you and the property sellers peace of mind that you can provide the necessary finances. When it comes to selling your house, buyers who aren’t themselves selling a property and who are not in a chain, such as first time buyers, are most likely to complete the sale more quickly. When viewing property to buy, keep in mind also that new builds or properties that are sitting empty will be easier to purchase in this context. There is also the option to sell, then rent or stay with family whilst looking to buy. Do some research on good solicitors in the area. Solicitors are there to do any negotiations, acting as an agent between you, your mortgage lender and the seller. They handle all of the legal aspects of the transaction for you, including to do with stamp duty, transferring of money, dealing with Land Registry and arranging for the contracts to be drawn up and completing the sale in the final stages. Once all the legal aspects have been finalised and contracts have been signed, you will be given a date for the completion of the sale, when you will be given the keys to your new property. Once you have those keys in hand you can plan to move into your new property from this date onwards, start unpacking and settling into your new home! Looking to buy or sell a home in East Renfrewshire? Nicole Estate Agents have the expertise and experience to help you on your property journey – why not get in touch today on 0141 616 3960.